Welcome to 2018! 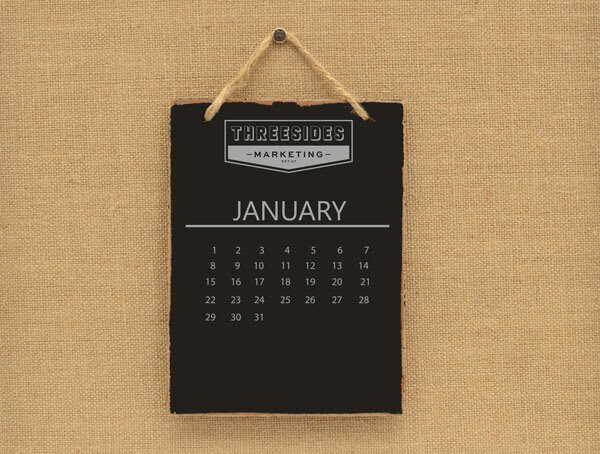 Take a look at the best bits of marketing news that have caught our eye so far this year. Facebook has once again updated its algorithm, and the modification has brands and businesses worried. The pros? Posts from friends will now be ranked higher, above the clutter of brands and Pages trying to sell products. The cons? Brands will need to try much harder to make their posts engaging, as this’ll be the only way for them to succeed in making their way to the top of the newsfeed, and words like tag, like, comment and share will be penalised to prevent false engagement. Sorry meme lovers – this may affect your feed for the worse. A study has shown that 52% of older consumers have a brand nemesis. That is, a brand that they refuse to use or buy again after they’ve had a bad experience with it, usually because of poor customer service they’ve received. The study also showed that quality, price and good customer service were the main drivers of brand loyalty – meaning it’s super important to take these factors into consideration when creating a marketing plan. Google will be implementing a ‘mute’ button for its ads. The button will allow users to turn off retargeting ads that they no longer want to see, for instance if they have already purchased the product offline, or purchased a different product from a different site. The update will be rolled out on apps, and web partners. Tim Tams and Gelato Messina have combined forces to release a new range of flavoured biccies, which were launched on Australia Day. The biscuits were kept in locked fridges until the Sydney CBD hit a certain temperature. Once the temperature was hit, 13,500 packets were given out to passers-by – a very cool brand activation idea indeed. Amazon have opened the first checkout-free grocery store. The store, which opened in Seattle late this month, uses sensors and cameras to track customers’ purchases. Customers are able to take things and simply walk out, at which point their credit card is charged for the transaction. The aim of the store is to encourage people to shop and not let long lines deter them. We’re wondering though… is this online shopping taken offline, or offline shopping taken online? Either way, we see some big marketing changes on the horizon! We’re big fans of TripAdvisor, Google and Facebook as review sites – word of mouth and first-hand experience are two of the best ways to get your brand or business noticed and admired. One reporter from publication Vice, Oobah Butler, decided to test just how reliant people are on reviews, by creating an online presence for a made-up restaurant called The Shed at Dulwich. Butler went to the lengths of creating a website, phone number and TripAdvisor location, and paid people to write excellent (but very fake) reviews. Over the course of a few months, The Shed at Dulwich gradually made its way to #1 out of 10,000 restaurants in London, with people calling every single day to grab a reservation at the city’s top restaurant (only to be told that it was fully booked). The whole stunt begs the question – how much trust should consumers put into what they see online? Enlighten is just around the corner, and Threesides is out there spreading the word with PR and destination marketing. With flashes, flairs, flickers, fireworks, food, and much much more, it’s one of the city’s most exciting events of the year. We can’t wait to see the capital light up this March! In what could be the most exciting news from January, Facebook has announced a new update for Instagram which enables third party apps to schedule and publish posts to the platform. In the past, this could only be done via a few providers (including our fave, Schedugram, which uses hundreds of physical phones in an office in Melbourne). The update is currently available to Instagram Partners, with a super quick uptake by scheduling platform Hootsuite.